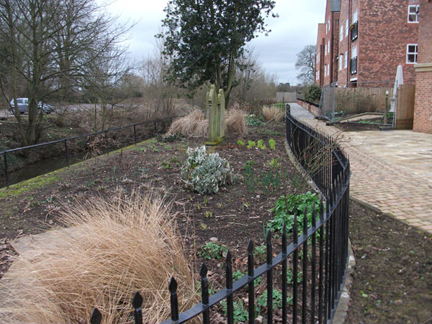 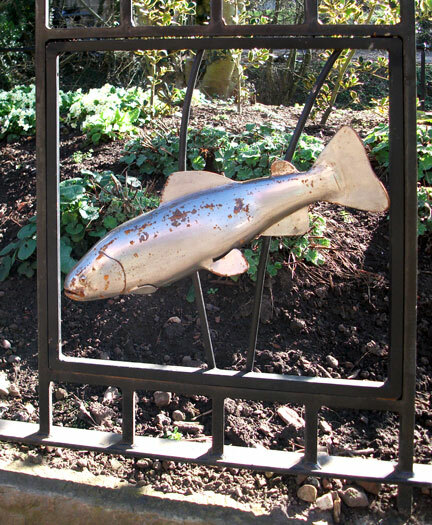 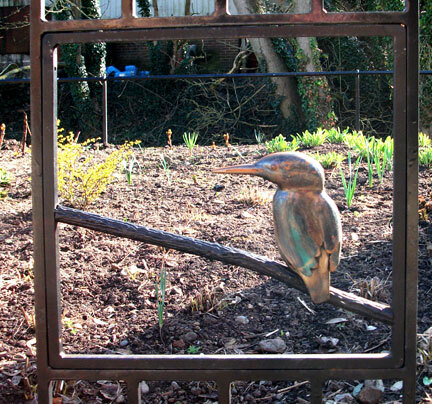 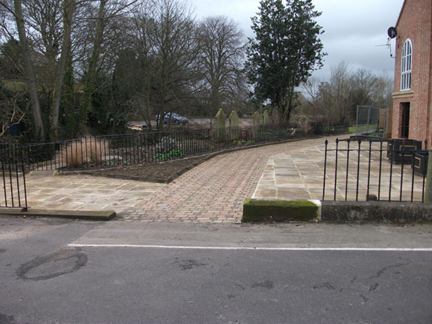 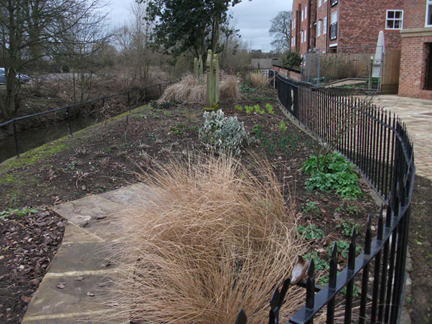 The Sensory Gardens is located on the site of the grave yard from the now demolished Salem Chapel. 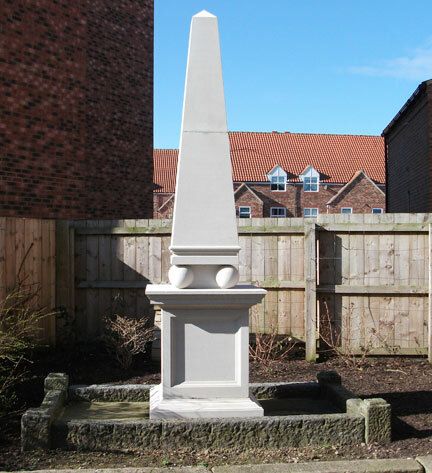 Remains from the Chapel site disturbed during construction have now been re-buried within Thirsk Cemetery. 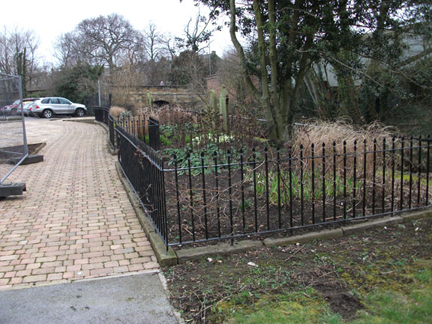 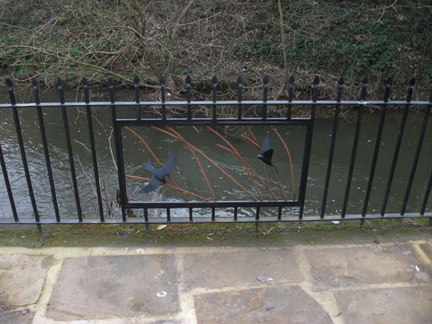 The entrance to Sensory Gardens from the Library car park. 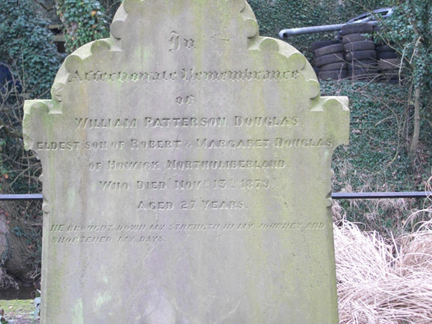 William Patterson Douglas, died Nov 13 1879 aged 27 years. 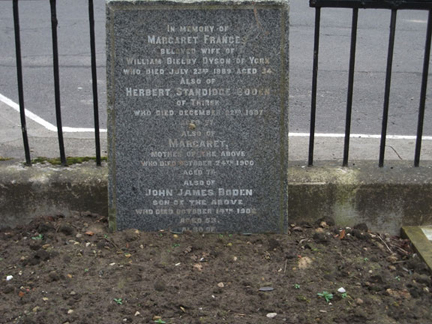 Margaret France, died July 23rd 1889 aged 34. 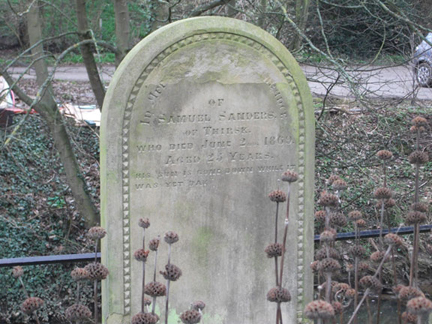 Samuel Sanders, died June 2nd 1869 aged 25 years. 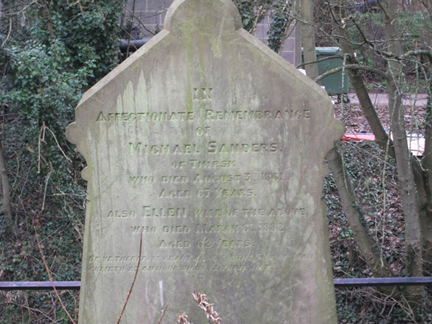 Michael Sanders, died August 3rd 1861 aged 67. 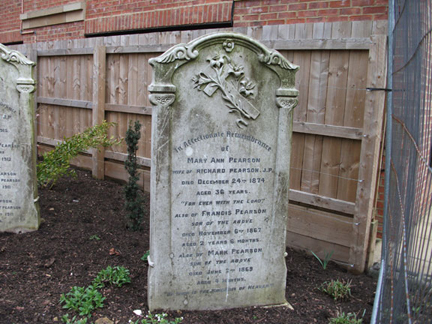 Richard Pearson J.P., died March 27th 1915 aged 79. 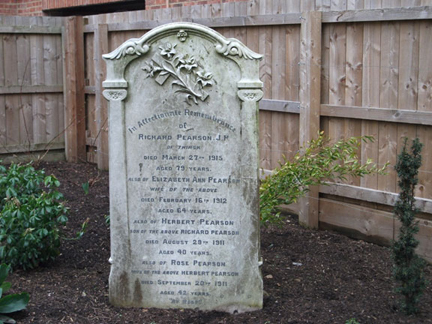 Mary Ann Pearson, died December 24th 1874 aged 36 years. 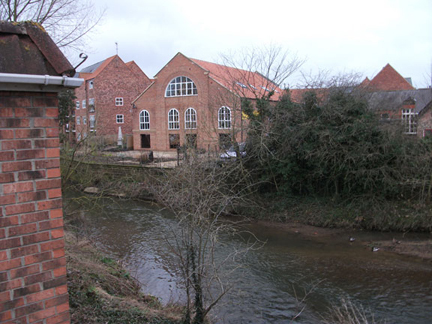 Centre, the Flats which now stand on the site of Salem Chapel.